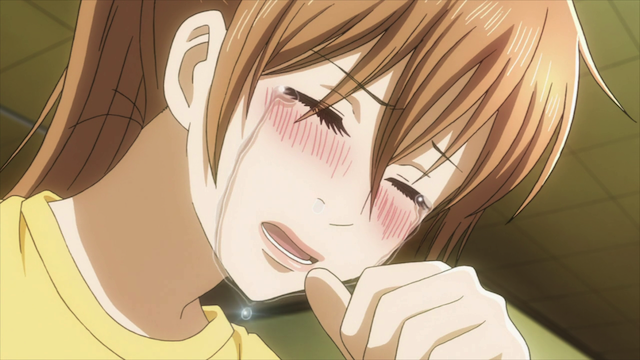 Chihaya Ayase knows how sad the cards must feel. 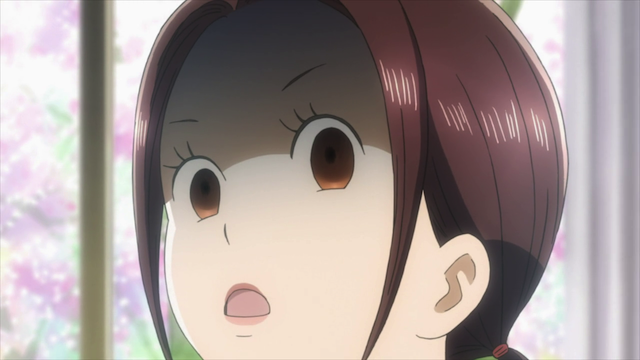 Season 2 of Chihayafuru is off to a great start. the second new character is introduced, and we have already seen some development in last week’s new-comer. There was also a little Karuta cultural moment, as an alternative form, played in Hokkaido was introduced. But, for me, the best part of this episode was Ms. Kanade Ooe bringing the HAMMER down on boy-crazy Sumire. Kanade Ooe – believe me, you do NOT want to make her angry. It wasn’t so much that Kanade got angry, it is WHY Kanade got angry that made the episode sing for me. That look into the deep loneliness that Chihaya usually tries to hide, and that the rest of club respond strongly to, was what made the episode work for me. Yes, although I don’t think I would phrase it as loneliness as much as a profound emotional connection to Karuta that is both awe-inspiring and a little disturbing, which the other club members respond to. And not just Kana. Nikuman finally took Tsukuba seriously and started teaching him. I thought that was great as well, because Nikuman has a lot of potential as a character that hasn’t been realized yet.